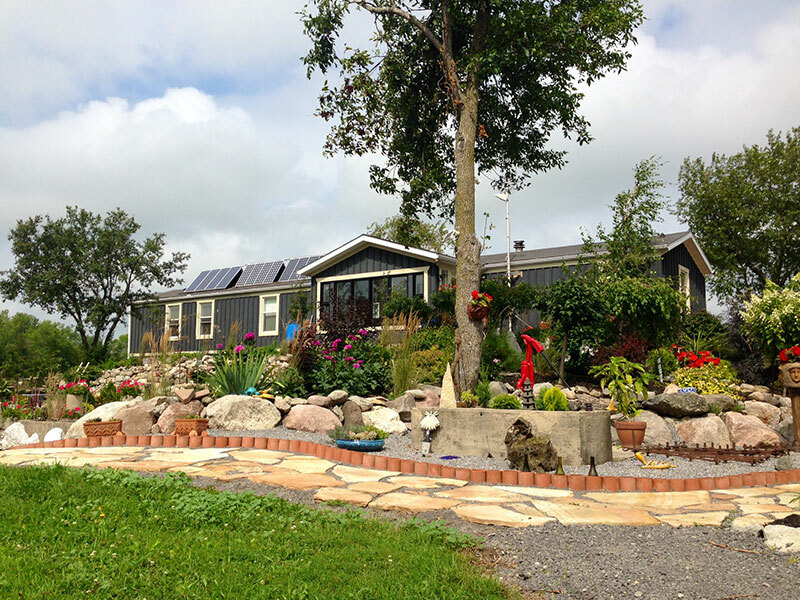 Tucked behind a small wooded area, you’ll find a gorgeous garden and a lovely small winery completely powered by three solar panels on the roof. Joni and Dave Gillingham greeted us outside and Joni proudly showed off the gardens – which I was surprised to find out had only been planted in the past year (though the Gillinghams have had this property for about 7 or 8 years). 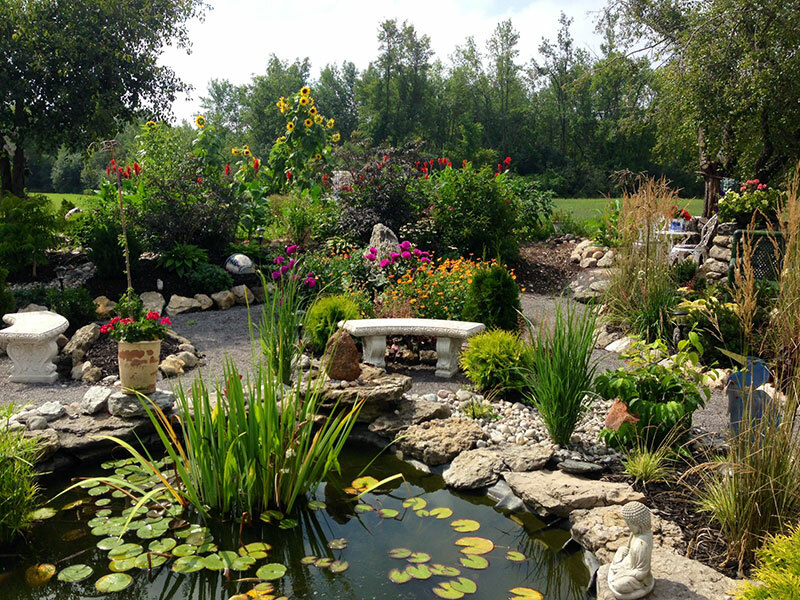 It’s really remarkable what they’ve accomplished – there is a gazebo, several distinct zones and sitting areas, and even a koi pond home to koi fish, frogs and a turtle which has made it his adopted home. 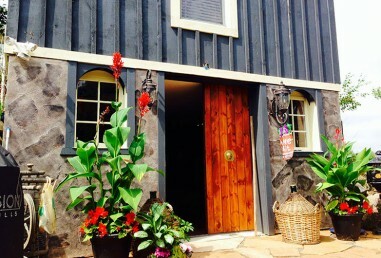 Currently they are pouring a Chardonnay, a Gewurztraminer and a Pinot Noir and we enjoyed all of them. The 2012 Chardonnay ($20) is unoaked and therefore has a fresh and clean taste with flavours of stone fruits and green apple. The 2011 Gewurtztraminer ($22) is made in a dry style and is crisp and nicely balanced with tropical fruit notes shining through. 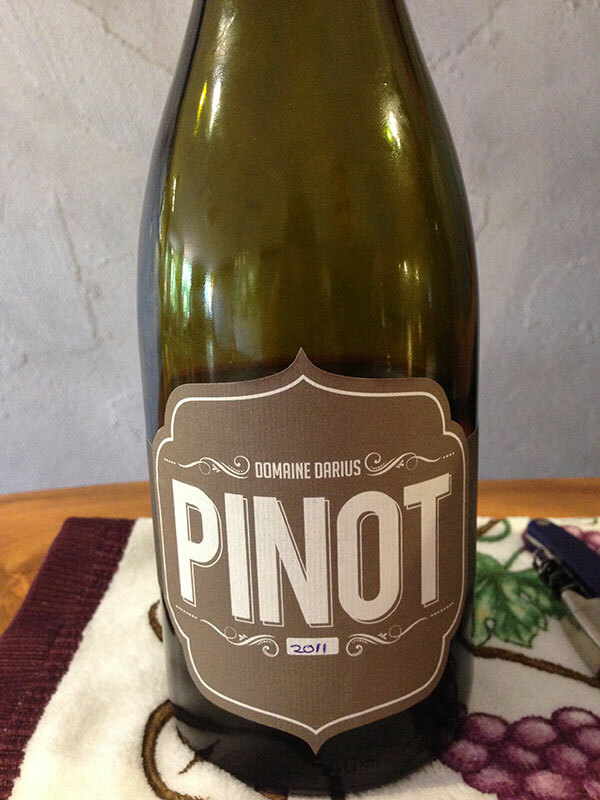 The 2011 Pinot Noir is very reasonably priced at $22 and boasts strong cherry flavours with some spice and earthy tones. The Gillinghams’ is a not-too-uncommon story: they purchased this 50-acre property with the intention of just putting a trailer and one or two acres of vines on it, just for fun. 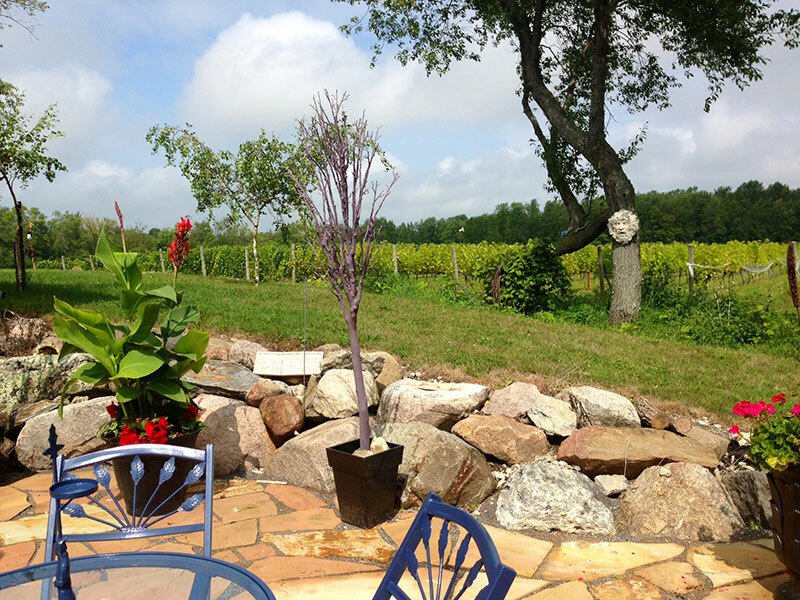 One thing leads to another, and, a few years later, they’ve planted 5 acres and find themselves opening a winery. And what about the name? Darius was Dave’s grandfather’s name and is also his own middle name, and after considering a slew of other potential options, it seemed the best fit. In an interesting coincidence, Darius was the name of an ancient king in Persia at the time that some of the first wine was produced over 7000 years ago, in what is now northern Iran. 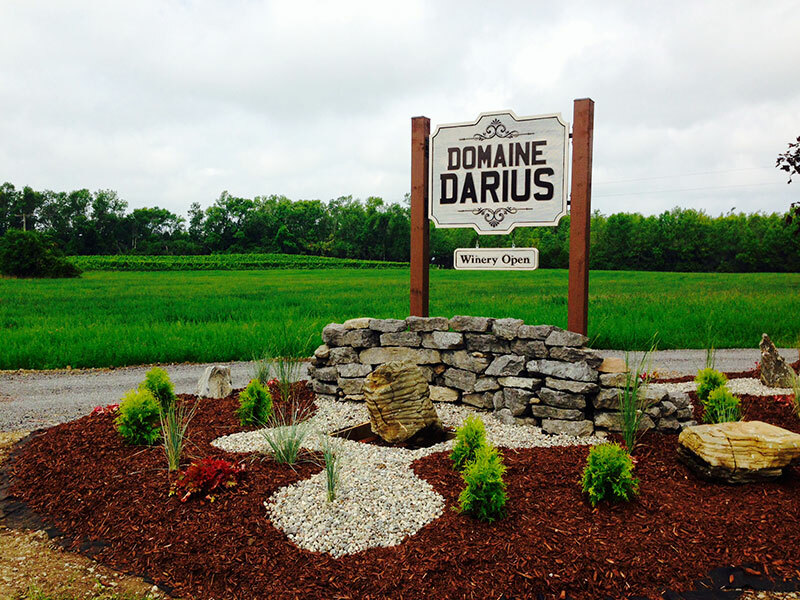 Domaine Darius is open daily 11am – 6pm until November, when they will be open Friday to Sundays through the winter.